I always wanted to buy some edible flowers to add to my desserts / dishes. Finally with this year’s more frequent visits to local farmer’s market, I bought my first batch of edible flowers. Um.. would I buy it again? may be not, just because it doesn’t taste good. It has that weird peppery taste that I can’t even add to my salad.. anyways, it does make a cheesecake look nicer and it’s great for photoshoot. a link to what flowers are edible. 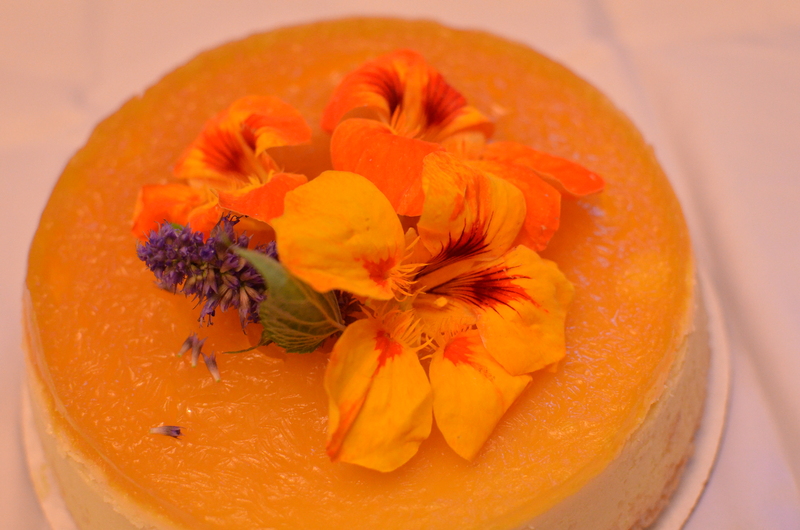 Well, thinking of it, the rosemary bushes in my neightbour houses blossom for a couple weeks every year, same with other herbs.. their flowers must be edible eventhough they aren’t pretty like the orange / yellow nasturtium as on my cheesecake.